➦In 1919...actress/radio-TV host Jinx (Eugenia) Falkenburg was born in Barcelona Spain. She was a movie actress & popular model before & during World War II , after which she and her husband Tex McCrary were hosts of “Meet Tex and Jinx” a local radio talk show they conducted from Peacock Alley in New York’s Waldorf Astoria. They also hosted NBC TV’s At Home show, while she was a regular on TV’s charades show Masquerade Party. She died a month after her husband Aug 27, 2003 at age 84. ➦In 1927...the first opera broadcast on a national Radio network occured. Radio listeners in Chicago, Illinois heard music from Faust. 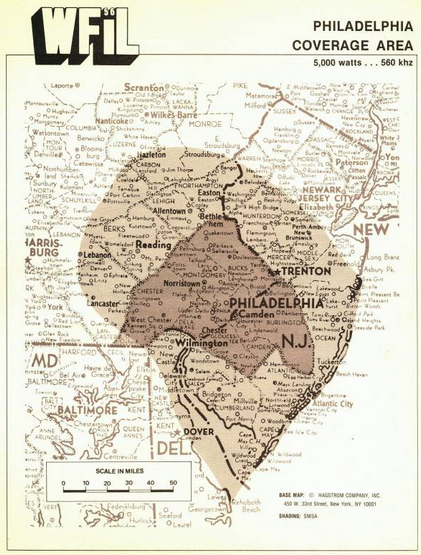 In 1935...WFI-AM in Philadelphia merged with WLIT as WFIL. WFIL was formed by a merger of two stations that were launched in 1922. One used the call letters WFI, the other was originally WDAR. Each was owned by a major Philadelphia department store; WFI was operated by Strawbridge and Clothier, while WDAR was run by Lit Brothers. While operated independently of each other, the two were able to work out amicable share-time agreements (hundreds of other American stations at the time were unable to do so, and frequently engaged in "jamming wars"). Around 1924, WDAR applied for and received the custom call-sign WLIT. By the late 1920s, the two stations were working jointly on various programs, promotions, and sponsorship efforts. In 1935, the two operators agreed to merge with each department store having representation on the new board of directors. The new call-sign became WFIL, a combination of the two previous identifiers (the fact that the new call letters were close to a phonetic spelling of "Philadelphia" was merely a happy coincidence). ➦In 1938...Legendary radio disc jockey Wolfman Jack was born Robert Smith. He died July 1, 1995 at 57. 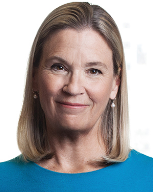 Smith was the younger of two children of Anson Weston Smith, an Episcopal Sunday school teacher, writer, editor, and executive vice president of the Financial World, and his wife Rosamond Small. His parents divorced while he was a child. 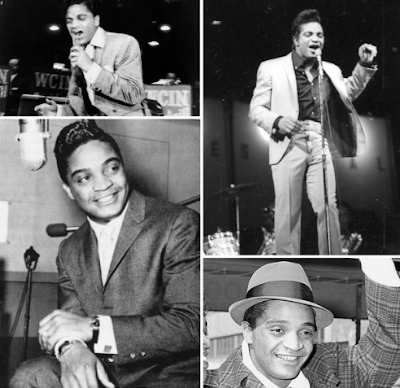 To help keep him out of trouble, his father bought him a large Trans-Oceanic radio, and Smith became an avid fan of R&B music and the disc jockeys who played it, including "Jocko" Henderson of Philadelphia, New York's "Dr. Jive" (Tommy Smalls), the "Moon Dog" from Cleveland, Alan Freed, and Nashville's "John R." Richbourg, who later became his mentor. After selling encyclopedias and Fuller brushes door-to-door, Smith attended the National Academy of Broadcasting in Washington, D.C. Graduating in 1960, he began working as "Daddy Jules" at WYOU in Newport News, Virginia. In 1962, he moved to country music station KCIJ 1050 AM in Shreveport, Louisiana as the station manager and morning disc jockey, "Big Smith with the Records". 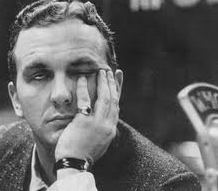 He married Lucy "Lou" Lamb in 1961, and they had two children. 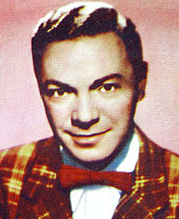 Disc jockey Alan Freed had played a role in the transformation of black rhythm and blues into rock and roll music, and originally called himself the "Moon Dog" after New York City street musician Moondog. Freed both adopted this name and used a recorded howl to give his early broadcasts a unique character. 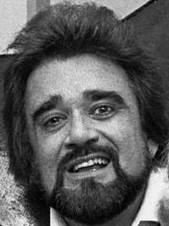 Smith's adaptation of the Moondog theme was to call himself Wolfman Jack and add his own sound effects. The character was based in part on the manner and style of bluesman Howlin' Wolf. 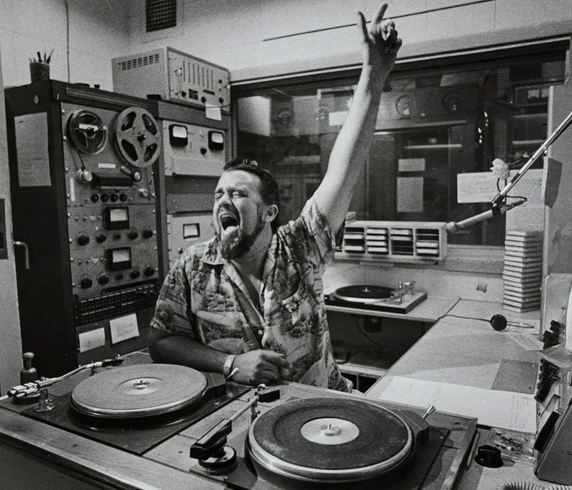 It was at KCIJ that he first began to develop his famous alter ego Wolfman Jack. According to author Philip A. Lieberman, Smith's "Wolfman" persona "derived from Smith's love of horror flicks and his shenanigans as a 'wolfman' with his two young nephews. The 'Jack' was added as a part of the 'hipster' lingo of the 1950s, as in 'take a page from my book, Jack,' or the more popular, 'hit the road, Jack.'" 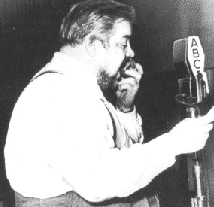 ➦In 1946...“The Fat Man” began its 5-year run on ABC radio. J. Scott Smart, who played the portly detective, weighed in at 270 pounds in real life. ➦In 1978...The soundtrack of Saturday Night Fever reached number one on the album chart. ➦In 1984...singer Jackie Wilson died at the age of 49. He had been in a coma since his 1975 heart attack during a concert in New Jersey. ➦In 1989...Ted Nugent married his second wife, former radio traffic reporter for WLLZ-FM in Detroit, Shemane Deziel. They have a son together. ➦In 1997..."Colonel" Tom Parker, Elvis Presley's manager for 22 years (and briefly before that managed Eddy Arnold and Hank Snow) died following a stroke at 87. ➦In 1998...WNSR 105.1 FM BYC became WBIX “Big 105"
➦In 2004...FCC Chairman, Michael Powell, anounced his resignation - 2 years before his term was to be up. 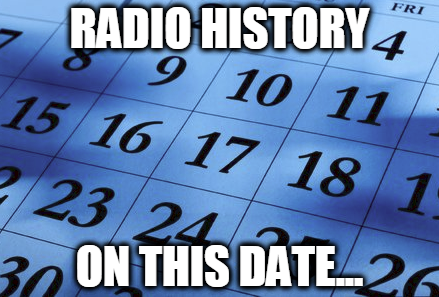 ➦In 2005...College DJ, Dave Plotkin, from Rollins College's WPRK-FM in Winter Park, Florida, set a record for the world's longest continuous broadcast by a single DJ. He stayed on the air for 110 hours. ➦In 2006...Country music singer Kix Brooks replaced Bob Kingsley as host of the syndicated radio show "American Country Countdown." 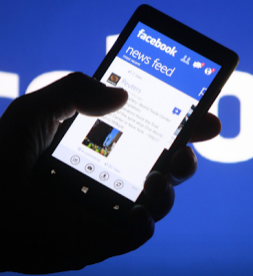 Facebook unveiled major changes Friday to the News Feed of its 2 billion users, announcing it will rank news organizations by credibility based on user feedback and diminish its role as an arbiter of the news people see. According to The Washington Post', the move comes after the company endured harsh criticism for allowing disinformation to spread on its social network and for favoring liberal outlets over conservative ones. In a blog post accompanying the announcement, chief executive Mark Zuckerberg wrote Facebook is not “comfortable” deciding which news sources are the most trustworthy in a “world with so much division." The new trust rankings will emerge from surveys the company is conducting. "Broadly trusted" outlets that are affirmed by a significant cross-section of users may see a boost in readership, while less known organizations or start-ups receiving poor ratings could see their web traffic decline significantly on the social network. The company's changes include an effort to boost the content of local news outlets, which have suffered sizable subscription and readership declines as news consumption migrated online. 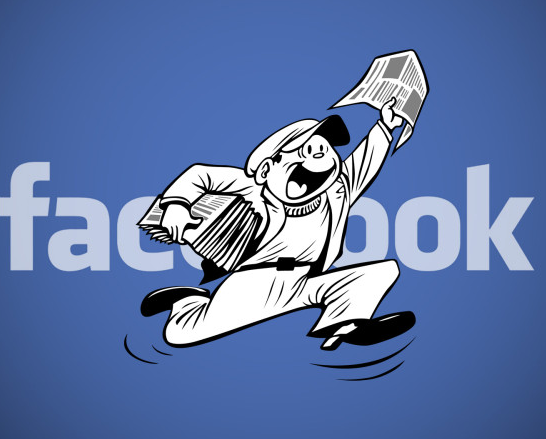 The changes follow another major News Feed redesign, announced last week, in which Facebook said users would begin to see less content from news organizations and brands in favor of "meaningful" posts from friends and family. Currently, 5 percent of Facebook posts are generated by news organizations; that number is expected to drop to 4 percent after the redesign, Zuckerberg said. Facebook and other Silicon Valley giants are grappling with their roles as dominant distributors of information in an era of foreign manipulation of social media platforms and dwindling revenues for many media outlets. On Friday, Google announced it would cancel a two-month-old experiment, called Knowledge Panel, that informed its users that a news article had been disputed by independent fact-checking organizations. Conservatives had complained the feature unfairly targeted a right-leaning outlet. More than two-thirds of Americans now get some of their news from social media, according to Pew Research Center. With bankrupt Cumulus Media looking to pull out of a $50 million deal to buy WLUP 97.9 FM and WKQX 101.1 FM after four years at the helm, the Chicago rock stations could soon revert to their owner: Randy Michaels’ Merlin Media. According to The Chicago Tribune, Michaelssaid Friday he is ready to take over the stations, if necessary, and promised listeners they would continue with their current rock formats, at least in the near term. 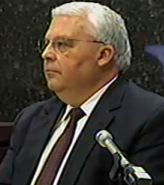 A bankruptcy judge is scheduled to rule Feb. 1 on motions filed Thursday by Atlanta-based Cumulus to reject a handful of “extremely unprofitable” contracts, including agreements to air Chicago Bulls and White Sox broadcasts on WLS-AM 890 and the deal to buy WLUP and WKQX from Merlin. Cumulus has been operating WLUP and WKQX since January 2014 under a local marketing agreement with Merlin that included an option to transfer ownership of the stations. Cumulus paid Merlin a fee that escalated from $300,000 to $600,000 a month over four years, totaling more than $20 million since its inception. In its filing Thursday, Cumulus said the stations have lost more than $8.4 million to date because expenses — including the monthly fees — exceeded revenues. Merlin executed the option to sell the stations for about $50 million, based on a formula agreed upon in the 2014 contract, and filed a transfer application with the Federal Communications Commission on Oct. 24. Cumulus filed for Chapter 11 bankruptcy protection Nov. 29. Michaels said he has no intention of withdrawing the FCC transfer application, which would require Cumulus to pay Merlin within five days of approval. Cumulus and Merlin have been engaged in discussions, but they have “not been able to arrive at revised terms,” Mary Berner, Cumulus’ CEO, said Thursday in a news release. Cumulus executives declined further comment. On Friday, a source familiar with the situation said Cumulus would have to pay the $50 million to take ownership of the stations and has no intention of doing so. 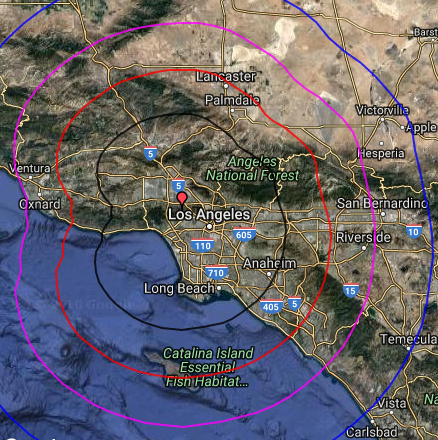 Michaels said Cumulus has “not made a reasonable counterproposal,” but he did not rule out the possibility that the two sides could strike a revised deal before Feb. 1.
iHeartMedia announced Friday that radio veteran, and recently appointed Vice President of Programming for KYSR Alt 98.7 LA’s New Alternative in Los Angeles, will expand her role and now oversee all programming for ALT 98.7 as Program Director. 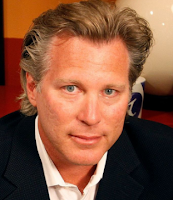 In addition, Worden will continue as Alternative Rock Brand Manager for iHeartMedia’s National Programming Group. As Program Director, Worden will manage the day-to-day programming operations for ALT 98.7 working closely with on-air personalities and sales to oversee the station’s on-air content, digital footprint and music programming. Worden recently joined iHeartMedia in November 2017 as Vice President of Programming for ALT 98.7 and Alternative Rock Brand Manager for the company’s National Programming Group. Worden brings over two decades of Alternative Rock programming experience to iHeartMedia, prior to joining iHeartMedia she was the Assistant Program Director and Music Director for KROQ-FM in Los Angeles. In 2003, Worden spent two years as the Program Director for WHFS-FM in Washington, DC before returning to KROQ-FM in 2005. She was named one of Billboard’s Top Women in Music from 2010-2014 and one of Billboard’s Top Rock Programmers in 2016. Worden also received the Station Music Director of the Year award at the Worldwide Music Summit in 2011 and 2014. 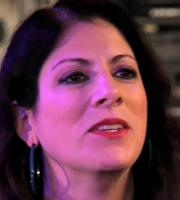 Entercom/Philadelphia has signed a contract extension with longtime Delaware Valley radio personality Harvy Holiday. Holiday has been in broadcasting for a half-century or more. 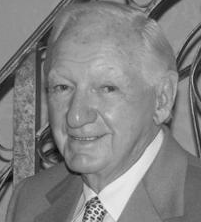 He started out in the mid-sixties working at WYNS 1160 AM (now WBYN) in Lehighton, Pennsylvania and served the Allentown market. From there, he went to WRAW 1340 AM in Reading and then on to WAAT 1300 AM (now WIMG) in Trenton. It was the oldest operating station in the entire state of New Jersey. Next, Harvey went to WMID 1340 AM in Atlantic City. The station was a powerhouse in the 50s, 60s and early 70s. 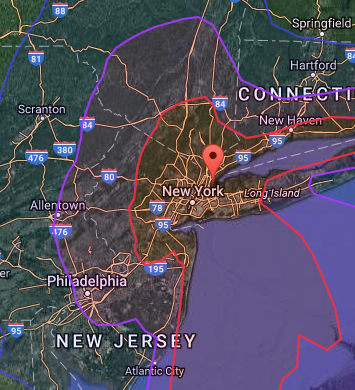 The only time, Holiday left the Delaware Valley was to jock on WSAR in Fall River, Massachusetts. In 1970, Harvey Holiday moved to WDAS AM & FM. There, he was Program Director of WDAS-FM (plus an on-air shift) and later became Research Director for both AM & FM. In 1985, he left the station to run WFIL 560 AM, an oldies station at the time. He also worked at Power 99, WPGR and WIOQ where he did morning drive. 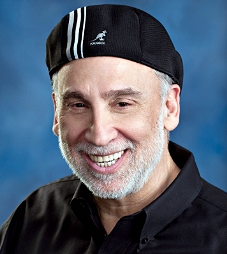 On July 2, 1989, he started “Street Corner Sunday” from 7 pm until 12 midnight on WOGL. 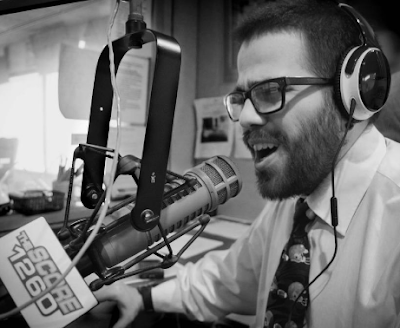 A year later, he went full-time at WOGL and has spent more than the last decade doing mid-day. 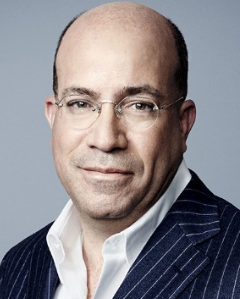 CNN is shooting down reports that its president Jeff Zucker is a candidate to run the Walt Disney Co.’s ESPN, according to The LATimes. Disney has been looking for a new top executive to run the beleaguered sports media giant since the sudden departure of John Skipper, who left the company Dec. 18 to deal with a drug addiction problem. The website Deadline reported Friday that Zucker, 52, has been in discussions about the job. But a CNN spokesperson said Zucker is happy in his current position and has no plans to bolt. “Jeff loves his job at CNN and has no interest in running ESPN,” a representative for the cable news channel said. Chatter that Zucker and Disney have talked about the position has circulated among sports TV executives amid questions about his future at CNN, where he is under contract at least through the end of the year. CNN parent Time Warner Inc. is headed to federal court in March as the Justice Department has filed suit to stop AT&T’s $85-billion deal to acquire the media conglomerate. The government has raised concerns that the merger could raise prices for pay-TV subscribers. Whoever runs ESPN will have to deal with changing habits of TV viewers who are increasingly turning away from cable to get their video content online. ESPN is coping with the decline in cable subscribers who provide substantial revenue for the channel while dealing with the escalating rights fees demanded by sports leagues. According to Deadline-Hollywood, the other key element in the Viacom proxy was the revelation that Ken Lerer, chairman of BuzzFeed and an influential media and tech player, will not continue on the Viacom board. The other nine board members have been re-nominated by the company to continue. 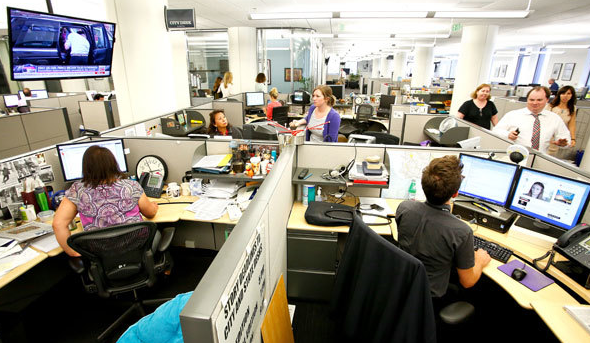 A staff organizing committee of 44 Times journalists had urged workers to unionize in response to years of corporate turnover, advertising declines and cutbacks that have shrunk The Times’ staff from more than 1,000 in the late 1990s to fewer than 400 today. 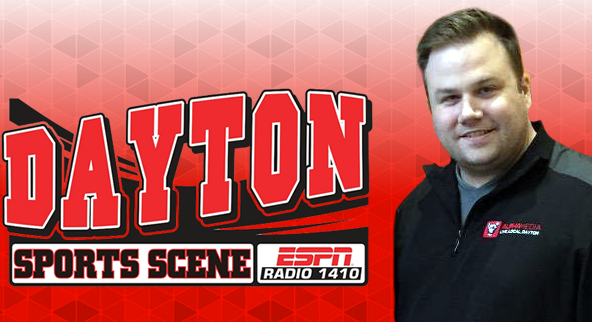 Mark Neal has left WING 1410 AM after hosting Dayton Sports Scene for 15 years. The Dayton Daily News reports Neal said he and wife have decided to take different career directions, which will take him away from the radio station he’s worked at for 18 years. 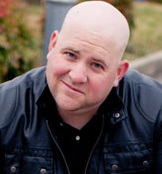 Entercom announced Friday that Sean Stewart has been named Program Director and host of the new morning show “Rock 105 Mornings With Sean Stewart” on WRXR Rock 105. The new local morning show will air from 6:00 a.m. to 10:00 a.m. and feature rock music and lifestyle topics of local interest. Stewart was previously the Music Director for crosstown Top 40 WDOD 96.5 FM. The Broadcasters Foundation of America, the national charity that provides aid to past and present members of the broadcasting profession, has established the Edward F. McLaughlin Memorial Fund to honor the iconic broadcaster who passed away early Friday at the age of 91 in Palm Beach, FL. McLaughlin was at the helm of ABC Radio Network for many years and is widely recognized as the man who discovered Rush Limbaugh, which led to the revitalization of AM Radio and the news/talk format. McLaughlin was a longtime Chairman of the Broadcasters Foundation and held the title of Chairman Emeritus at the time of his passing. Earlier this week, the Broadcasters Foundation announced McLaughlin as the recipient of the 2018 Lifetime Achievement Award. A life-long broadcaster, McLaughlin founded EFM Media Management in 1987 and syndicated The Dr. Dean Edell Show. Shortly thereafter, he launched the national syndication of local Sacramento radio host Rush Limbaugh, which led to the revitalization of AM radio and the news/talk format. During his 14-year tenure at the helm of ABC Radio Networks, McLaughlin guided the expansion of long-form programming, acquiring American Top 40 with Casey Kasem, launching American Country Countdown with Bob Kingsley, and championing Paul Harvey’s program to reach 1,000 affiliates. His ABC Radio stable of personalities included the legendary Chicago newscaster and national commentator Paul Harvey. As Chairman of the Broadcasters Foundation of America, McLaughlin redefined the organization and set it on its current course. 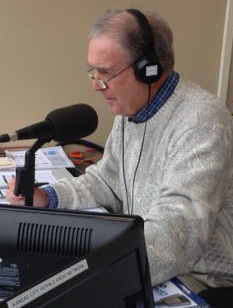 Throughout his career, McLaughlin has received numerous accolades, including Radio Ink’s Lifetime Leadership Award in 2010 and the National Association of Broadcasters’ National Radio Award in 1996. He was the first chairman of the Radio Network Association, a long-standing board member of the International Radio & Television Foundation, and a trustee of The Paley Center for Media. He was inducted into the Radio Hall of Fame in 1995. To donate to the Edward F. McLaughlin Memorial Fund, please visit www.broadcastersfoundation.org, call 212-373-8250, or email info@thebfoa.org. Cumulus Media Inc. today announced that it has filed motions with the United States Bankruptcy Court for the Southern District of New York requesting authority to reject a handful of extremely unprofitable contracts, including those with the Chicago White Sox and the Chicago Bulls. Cumulus is also seeking to reject its agreements with Merlin Media, as the Company has determined that the legacy terms to acquire WKQX-FM and WLUP-FM in Chicago for approximately $50 million is significantly in excess of the stations’ market value. In total, the Company is seeking to reject fewer than 20 contracts out of more than 15,000 agreements. According to Cumulus, the company operating the stations formerly owned by Randy Michaels, WLUP-FM and WKQX-FM in Chicago have lost $8.4 Million since 2014. Cumulus says the two stations, net of LMA fees to Michaels, lost $1.5 million in 2014, $800,000 in 2015, $1.1 million in 2016 and $5.1 million in 2017. The LMA fee Cumulus was paying to Merlin was $600,000 per month. The Court is scheduled to rule on the Company’s motions at a hearing on February 1, 2018. Berner continued, “These contracts represent only a tiny fraction of the thousands of contracts that Cumulus has, and our relationships with the vast majority of our partners remain strong. We look forward to continuing to deliver premium content choices to the 245 million people we reach each week across our collection of stations and Westwood One affiliates." 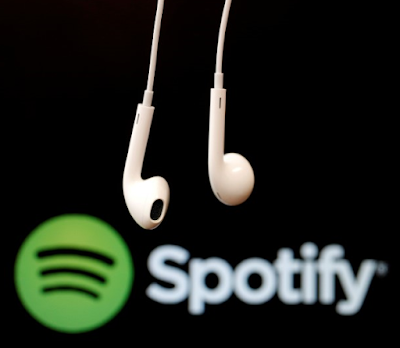 Spotify, the world’s largest paid music service, will begin offering news and political coverage to lure listeners away from radio and podcasts from rival Apple Inc.
Bloomberg reports eight companies, including BuzzFeed and Refinery29, have agreed to produce programming for the new initiative, called Spotlight. One of the first shows will be a four- to seven-minute daily newscast featuring reporting from BuzzFeed journalists across the globe. Spotlight will only be available to customers in the U.S. at first. News programming can help Spotify capture some of the $18 billion spent on radio advertising each year and boost profitability as it prepares to trade on the New York Stock Exchange. While the company almost singlehandedly reversed the record industry’s long decline, it has been unable to turn a profit due to the high cost of music rights. In their place, he conceived Spotlight, which mimics the the most successful videos on Spotify to date -- music videos and behind-the-scenes footage presented within playlists RapCaviar and Viva Latino. Users can listen to those videos without watching, or watch for additional information. BuzzFeed’s show will be audio-first, but include infographics and other visual elements, according to Ben Smith, editor-in-chief. 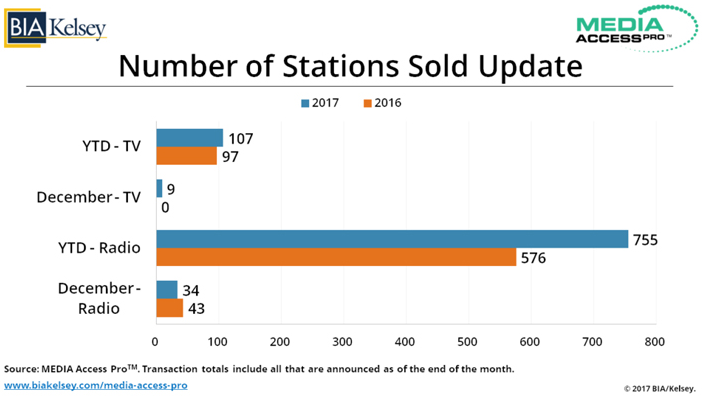 In terms of radio and television station transactions, the past year was strong but not overwhelming. 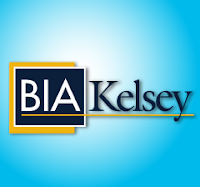 As shown in the year end totals, BIA/Kelsey reports that the total number of television stations sold in 2017 were 107 for a total value of nearly $4.7 billion. For radio, there were 755 stations sold in 2017 for a total value of over $3.3 billion. The number of television stations sold increased by ten over the previous year while the total value of those stations sold decreased by nearly $600 million. On the other hand, the number of radio stations sold increased by 179 and the total value of those stations also increased by over $2.8 billion. Those increases can be credited to the Entercom acquisition of CBS Radio during the year. 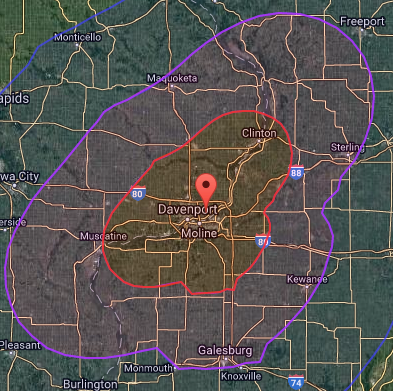 The stations acquired by Entercom were in many large and medium sized markets, and many of them were very successful ongoing operations. What is worth noting is the fact that Entercom was able to finance this transaction and successfully integrate these stations into their operation. It’s a very good sign for the local radio industry when business success follows such a major acquisition. As for 2018, BIA Kelsey's Mark Fratrik writes the Federal Communication Commission issued new relaxed regulations concerning local ownership of local television stations, and relaxed regulations surrounding local television-radio and local broadcast-local newspaper ownership. While there is some question as to whether some or all of these new regulations will be challenged in the courts, there is some optimism that this relaxation will lead to an increase in station trading activity. The other key driver for increased activity was the passage of tax reform late in 2017. By lowering the overall corporate tax rate and full expensing of new capital equipment for five years, the values of broadcast properties will most likely increase. This potential positive influence on these values should be taken in context of the longer-term trend of values reflecting the increased competition faced by local radio and television stations. Fratric advises it will take some time in the marketplace for these increased values to lead to higher prices for radio and television stations. 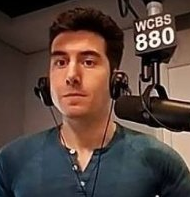 Entercom announced Thursday that it has elevated Alex Silverman to Assistant Director of News and Programming for Newsradio WCBS 880 AM. In this role, Silverman will help manage the day-to-day news coverage for the station, its website and social media channels in addition to his current reporting and anchoring responsibilities. “Alex is a talented news broadcaster and passionate storyteller. His work on air, online, and on the station’s social media channels has helped set WCBS 880 apart from our competitors as a brand that delivers more than just the headlines,” said John Fullam, Entercom’s Senior Vice President and Market Manager. “I’ve always been proud of the impactful, relevant news coverage WCBS Newsradio 880 provides to millions of listeners a month across New York and beyond. We have the best team in the business and I and look forward to continuing to deliver on that promise,” said Silverman. Silverman is an award-winning news reporter and anchor who received a regional Edward R. Murrow Award in 2017 for “Excellence in Sound.” He was also a part of WCBS’s award-winning coverage of Hurricane Sandy in 2012. His live on scene coverage of the 2016 Chelsea Bombing helped the station earn numerous accolades including best spot news from the New York State Associated Press News Association, and a National Murrow for Best Newscast. 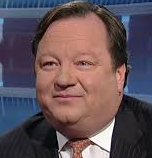 He also helped to lead WCBS 880 Newsradio’s coverage of major news events including the Boston Marathon bombings, the Orlando nightclub shooting, and the 2016 Republican National Convention. iHeartMedia/Quad Cities has announced that Dave Levora has been named morning host for Talk WOC 1420 AM, Quad Cities. 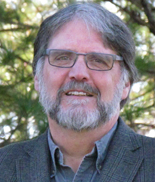 He'll team with Program Director Dan Kennedy weekdays from 5:30-9am with regular contributions from Dan Deibert. Levora joins WOC from crosstown WQAD-TV, where he served as an Account Executive. He'll continue to serve as host for WQAD-TV's "Brewed." Prior to WQAD-TV, Levora was a morning personality on a number of local outlets. "We're excited to bring Dave into the WOC News Talk 1420 family," said Kennedy. "He's already familiar with radio in the Quad Cities and I have no doubt that our listeners will love him." "I am thrilled to be back on the airwaves in the Quad Cities," added Levora. "I look forward to once again connecting with the listeners and engaging with the community on WOC 1420." Cumulus Media/Syracuse’s WSKO 1260 AM The Score has announced the additiona of a new daily local sports show to its lineup: DRIVE TIME SPORTS, weekday afternoons 3-6pm. 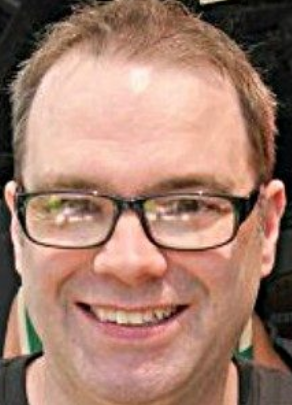 Host Paul Esden has served as executive producer, and sports update reporter for BUD & THE MANCHILD show, also heard on WSKO from 10am-noon every weekday. Esden has provided Syracuse University Athletics coverage as a Senior Columnist for Inside the Loud House for the past two years. Esden earned his B.A. in Sports Broadcasting at SUNY Oswego. 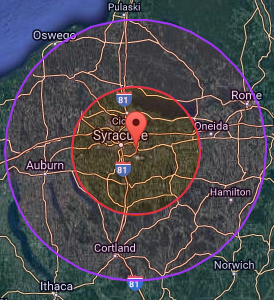 The Score 1260, known as “The Voice of the Central New York Sports Fan,” is the broadcast home of AAA baseball’s Syracuse Chiefs. The MLB Royals won’t be the only ones celebrating their 50th year in 2018. Denny Matthews will be back to call his 50th season of Royals baseball as well, according to kansascity.com. Matthews, the Ford C. Frick Award winner who was honored during the 2007 Hall of Fame Induction, signed a four-year contract in January 2015 that expires at the end of the upcoming season. Steve Stewart will also return for his 11th season with the Royals Radio Network. Engineer Don Free, who retired after last season, will be replaced at home games by Keith Kowalski, who has been with the Royals since 2013. Fox Sports said that the television broadcasters will all return for the 2018 season: Ryan Lefebvre, Rex Hudler, Steve Physioc, Jeff Montgomery and Joel Goldberg. This will be Lefebvre’s 20th season with the Royals, and he has handled most of the play-by-play duties for Royals games on Fox Sports Kansas City. Hudler and Physioc will be in their seventh seasons calling Royals games. Hudler is an analyst for FSKC broadcasts, while Physioc works in both the radio and television booths. Goldberg, who is the host of the pregame and postgame shows and a frequent innocent bystander/victim of catcher Salvador Perez’s postgame splashes, will be back for his 11th season. Montgomery, the co-host of the pregame and postgame shows and a contributor to the Royals broadcasts, will be in his ninth season.